Fort Lauderdale is a city on Florida's southeastern coast, known for its beaches and boating canals. 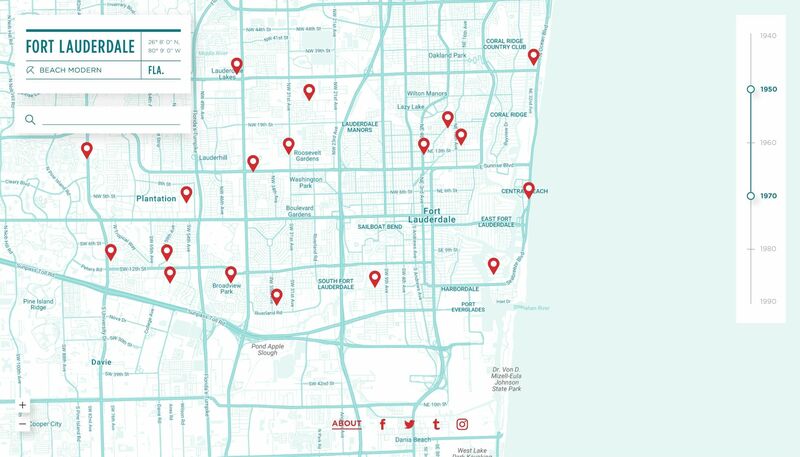 This project presents a great collection of old postcards interactively on the map. You can time travel the city, "walking" through time and space and learn about the old buildings' history. 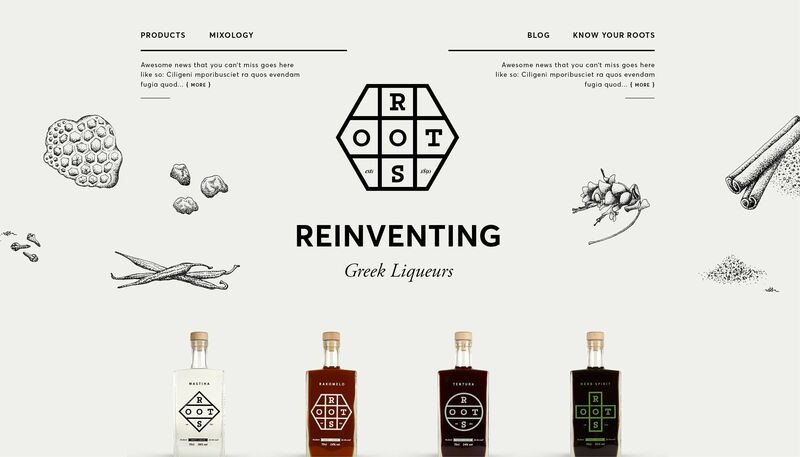 Originating from a 160-year-old distillery, the finest Roots Spirits combine the unique experience of four generations of distilling with an original take on liquour philosophy. Based in southern Greece, they fuse the purest and most natural ingredients into a select variety of both traditional and modern tastes. Our task was to convert Bob Studio's award-winning design into an engaging website, and that's exactly what we did. 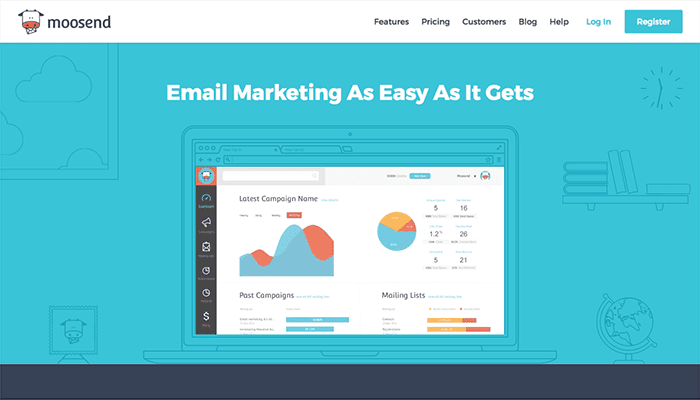 Moosend is a powerful email marketing platform, with world class features and the cleanest UI in the market. The goal of the project was to create a super user-friendly marketing website with a corporate profile that would be, at the same time, not-too-serious. Using the existing guidelines and the colour palette of the brand, we created custom illustrations, subtle CSS animations and other design elements that enhance the fresh feel of the brand and help explain the services of the platform in a fun way. 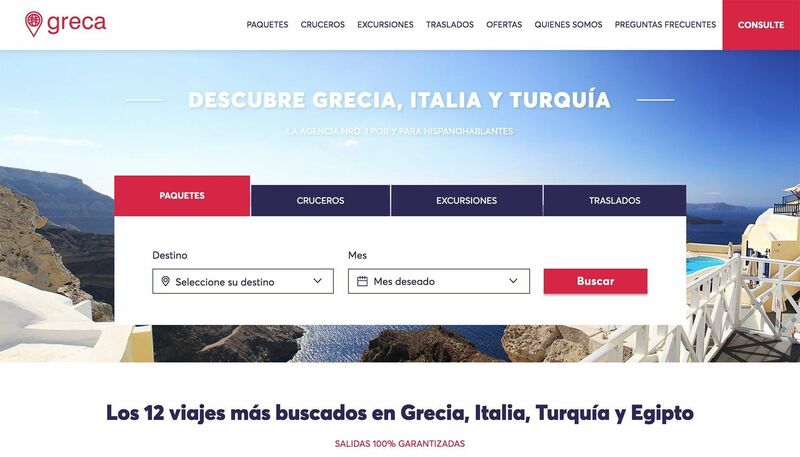 We did a lot of UX research and experiments during that project, as we wanted to make sure that the website is extremely easy to use, without ever becoming boring. Sonder is a free and fair media platform that gives each publisher an equal chance of reaching a wider audience; and each user with the most interesting content, personalised to them, at their fingertips. It was one of our less "conventional" projects this year, in which we had to explore new and exciting territory. 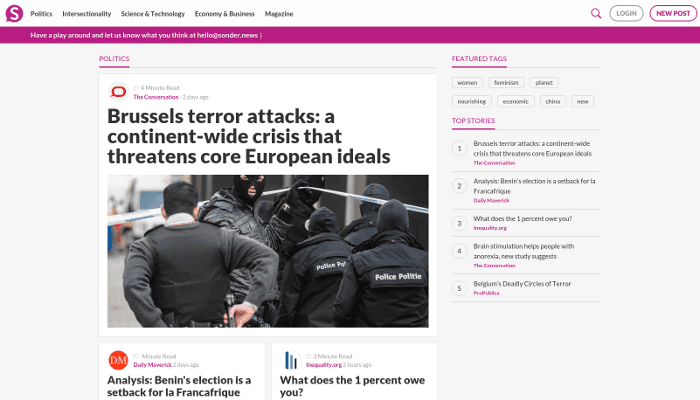 We designed and developed the front-end of sonder.news. But, more importantly, we developed a Chrome Plugin and a Wordpress plugin in order to make the content uploading process easier. 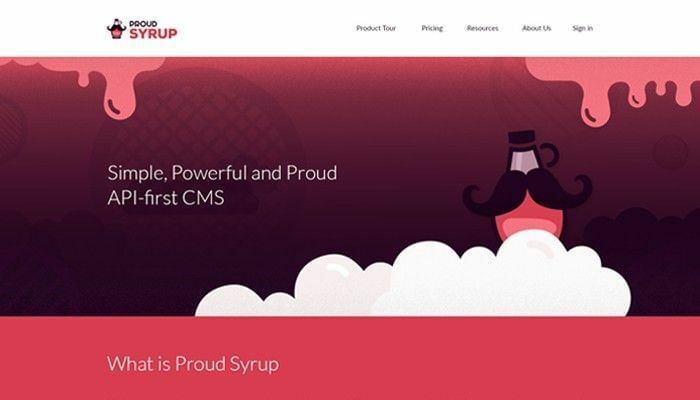 Proudsyrup is a content management system on the cloud. It's a powerful tool that gives the ability to both developers and publishers to produce and deliver content, without the hassle of maintaining a complicated CMS, or being "stuck" on a specific platform (pun intended). It provides publishers with the ability to add content through a clean, simple, light-weight CMS online, and developers to access and use this data through a very easy and friendly API, across multiple platforms and devices. 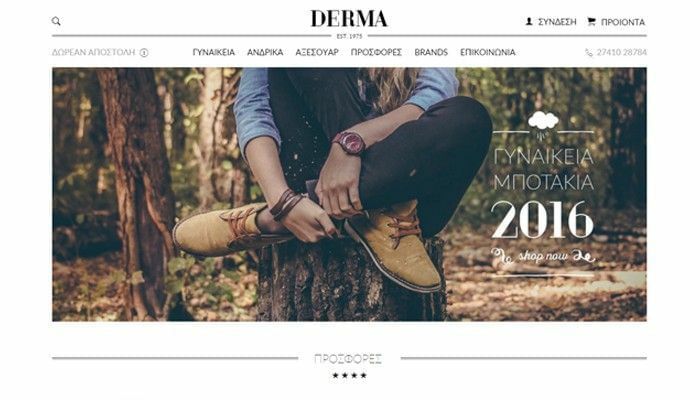 Dermashoes is an online shop built with simplicity and style. We came up with a design that inspires class, elegance, and appeal to both women and men at the same time, relying greatly on good typography. 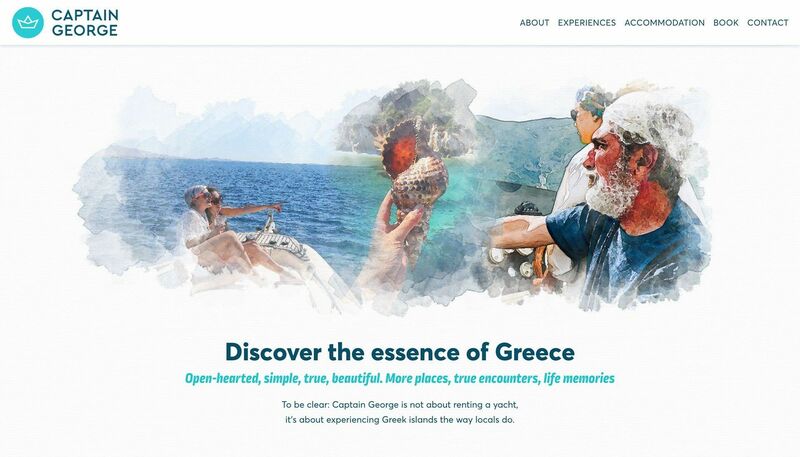 Apart from designing a beautiful experience, we also focused on the engine. You will notice blazing fast loading times, provided by our handmade eCommerce platform. 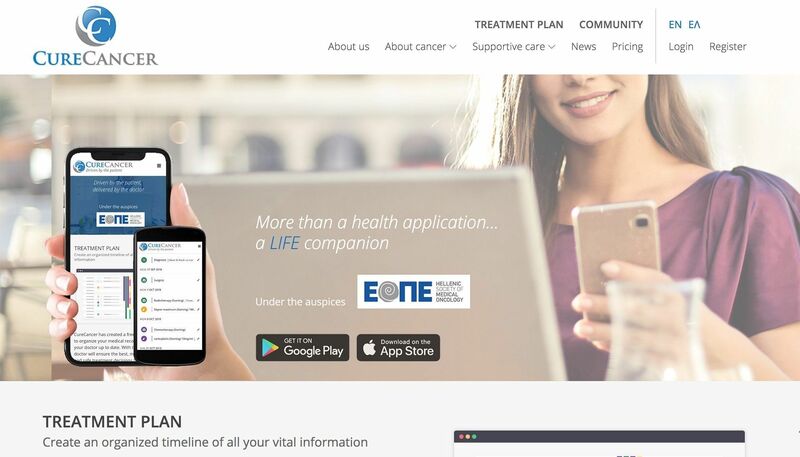 CureCancer is an online platform with several services for cancer patients, patients relatives and doctors. It is undoubtedly one of our biggest and most complex projects. CureCancer offers a full-featured calendar for patients, a message platform, a skype appointment scheduling platform, a simple forum, a simple news section, all of which are custom-made.